Vimal Refined Corn Oil, is rich in essential fatty acids i.e. omega 3 and omega 6 which our body can not produce but are essential to keep blood pressure in control as well as for the shine in your skin and hair. It also helps in reducing LDL cholesterol level. Corn oil is rich in thiamin and Vitamin B as well. Because of its high smoke point corn oil is ideal for deep frying as well. 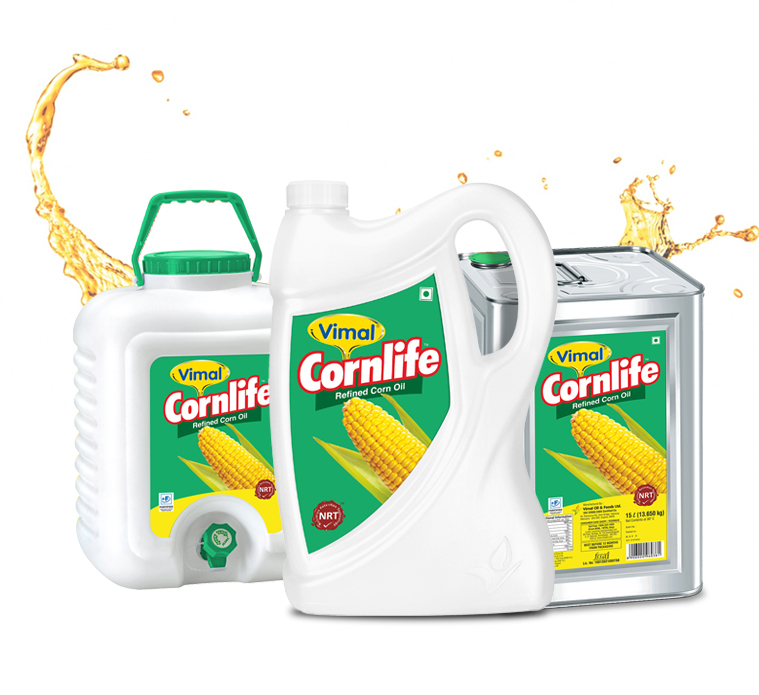 Vimal Refined Corn Oil, refined and packed at our state-of-the-art refinery brings you corn oil in its most natural form. Not more than 0.50 per cent.